If your toilet is stopped up or won’t flush, you can’t use it and that’s annoying. If it’s your only toilet, it can quickly become an emergency. Call us at Larry & Sons for toilet repair in Greencastle, PA. We’ll get an experienced plumber to you fast so you can use your toilet again soon. We’ll fix any problem that your toilet is having. There’s no toilet job we won’t handle for you, so you can get back to your normal life fast. 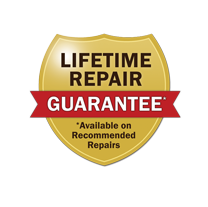 We know that you have more important things to do than worry about when your toilet will be running again, so we will work efficiently to get you the best possible repair in as little time as possible. Here are just a few of the problems we’ll fix for you. Overflowing toilets. If you can’t remove the clog with a plunger, let us get it with our plumbing snake. If your toilet is clogging frequently, call us for help getting to the bottom of the problem and finding a solution that will keep you clog-free. Leaking toilets. If there’s water pooling around the base of your toilet, there’s a leak somewhere. We’ll find it for you and make sure the pipes are repaired so it doesn’t come back. Running toilets. If your toilet runs all the time, then you are spending a lot more on water than you should be. We’ll fix your toilet so the seals all work again and you will see savings on your water bill as soon as next month. Non-flushing toilets. Your toilet should flush easily as soon as you hold down the handle. If it doesn’t, something has gone wrong in your tank. We are familiar with all of the flushing mechanisms out there and we’ll get your toilet back in flushing order soon enough. Cracked toilets. If you notice a crack in your toilet’s porcelain, it’s time to call someone in to look at it. Some of these cracks are benign, but others can indicate problems. They can also become places where mold and mildew grow. Find out if your crack is a problem when you call in a plumber to check it out. When it’s time for a new toilet, call us and our plumbers will get the job done fast. Whether you are upgrading the look of your bathroom or you want one that uses water more efficiently, we’ll recommend brands we trust so you can be sure that your new toilet will work well for years into the future. We’ll never suggest you purchase a toilet that we wouldn’t install in our own homes! Choose your toilet, then we’ll order and install it for you. We’ll check to be sure everything works well before you leave, and we’ll let you know if there’s anything you need to do to keep your toilet running well for a long time. Call us for your toilet repair or installation in Greencastle, PA today! We hope to see you soon!